Beirut (AFP) - Syrian forces and their Russian backers unleashed heavy air strikes on rebel-held Idlib on Friday, a monitor said, expanding their shelling of the northwestern province. Idlib is the largest chunk of territory still in rebel hands, and President Bashar al-Assad has warned it would be his next target. The province's southwest was shelled heavily on Thursday and the bombing the next day "moved further east", said the Syrian Observatory for Human Rights. "Air strikes by Russian warplanes and barrel bombs from Syrian helicopters hit southern parts of Idlib province today in very heavy shelling," Observatory head Rami Abdel Rahman told AFP on Friday. Shelling killed two civilians in the main town of Khan Sheikhun, and another two died including a child in nearby Al-Tah, he said, adding that dozens of people were wounded. "The barrel bombs were focused on Khan Sheikhun," he added. The White Helmets, a rescue force operating in opposition-held areas of Syria, said its volunteers were responding to a bombing blitz on both Khan Sheikhun and Al-Tah. A White Helmets rescuer in Khan Sheikhun told AFP that residential districts had been hit. Assad's troops appear to have set their sights on Idlib after making sweeping military gains across Syria in recent months, including around Damascus and in the south. The Britain-based Observatory said regime reinforcements, including troops and equipment, had been amassing around the southwestern part of Idlib for several days. But a full-fledged assault would be devastating for the estimated 2.5 million people living in Idlib, many of them rebels and civilians bussed out of other areas that came back under regime control. The United Nations appealed Thursday for talks to avert "a civilian bloodbath" in the province, which borders Turkey. "The war cannot be allowed to go to Idlib," said Jan Egeland, head of the UN's humanitarian taskforce for Syria. Around 60 percent of Idlib is held by Hayat Tahrir al-Sham (HTS), which is led by Al-Qaeda's former Syria affiliate. Rival factions control most of the rest, but Syrian troops have carved out a small southeastern part. 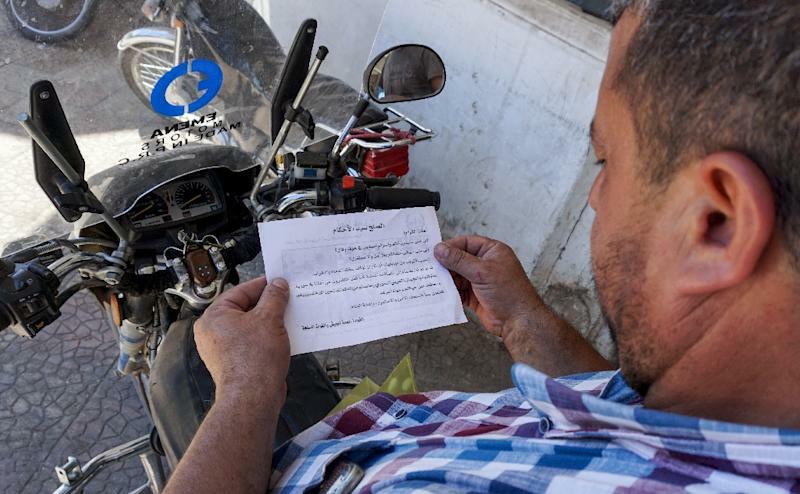 Government helicopters on Thursday dropped leaflets over towns in Idlib's eastern countryside urging people to surrender.